Former US Secretary of State Hillary Clinton said on April 12 that WikiLeaks founder Julian Assange must answer for what he has done, reports CNN. “The bottom line is he has to answer for what he has done,” said Clinton. Assange is the only foreigner whom “this administration would welcome to the United States”, she added with a sneer. 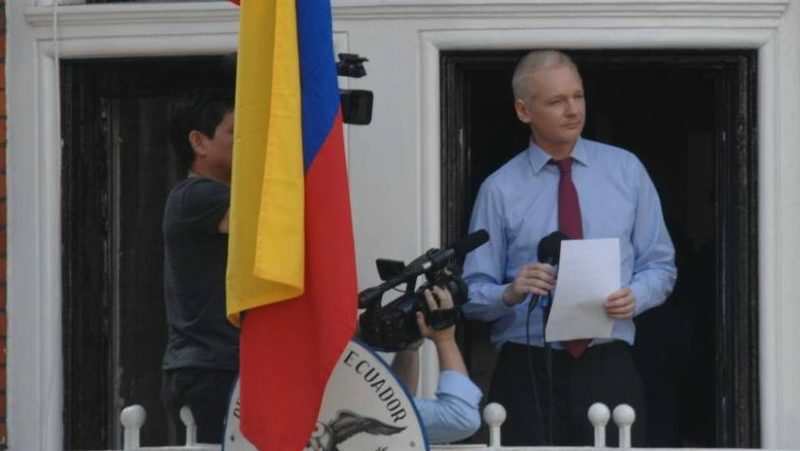 On April 11, the Ecuadorian embassy deprived the WikiLeaks founder of political asylum, citing violations of asylum terms. British police dragged Assange out of the embassy by force. Assange’s arrest is a sad day and a betrayal on a world scale. The Russian Foreign Ministry called the political activist’s extradition by the British police an example of denying the principle of freedom of speech and access to information. Materials from the Democratic National Committee (DNC) during the presidential election in the US published by WikiLeaks were one of the most important factors that prevented Clinton from becoming president. This entry was posted in News from the West and tagged Assange, Clinton, Political War, USA. Bookmark the permalink. ← Anonymous hackers: UK, release Assange or you will pay for it!